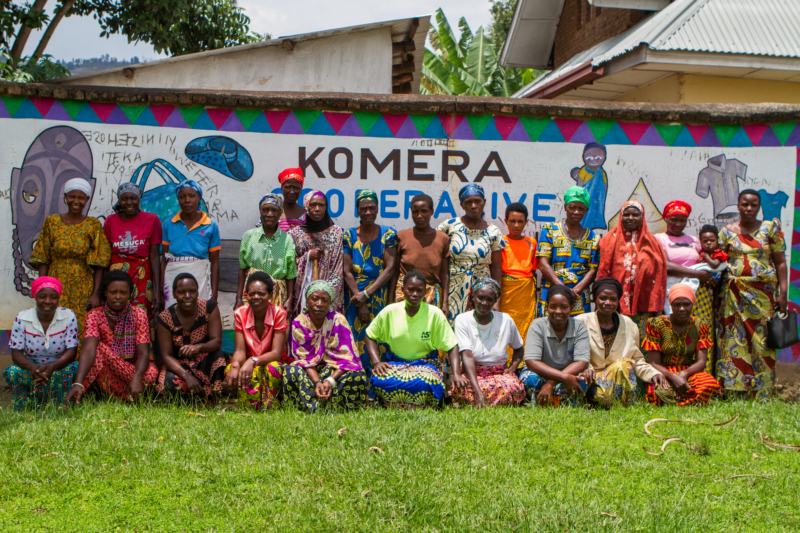 Since June 2017 the Lemonaid & ChariTea Foundation supports the ‘Women Loan Project’ of the charitable organisation ‘Rwanda Sustainable Families’ (RSF) which operates in the Rubavu and Rugurero regions of Rwanda. The project enables women from these rural regions to live a financially independent life and, thus, improve their living conditions. When the American doctor Nancy Lasseter first visited the Rubavu Region for work in 2010, she was surprised to see so many children out of school. She enquired why this was and found out that it was due to the fact that the women who were taking care of the children worked in the bordering Democratic Republic of Congo and simply could not afford the children’s school fees. As a result, she founded the initiative ‘Rwanda Sustainable Families’ which supports Rwandan Families to start their own small businesses by giving them small microcredits. Thereby the parents are able to pay the children’s school fees and eventually break the poverty cycle. When it comes to equal rights between the sexes Rwanda leads the way. 64 percent of the Rwandan parliament are female; the gender pay gap is considered to be closed by 80 percent. Nevertheless, especially in rural regions, women find themselves to be financially disadvantaged and suffer from their economic and social marginalisation. Often times they are dependent on the man, may it be their husband, their father, or even their son, who acts as head of family. Additionally, many women find themselves to be more responsible for their families and their communities. Through the ‘Woman Loan Project’, the participating women, some of them infected with the HI-Virus, are given the opportunity to enhance their entrepreneurial skills. Some women use the money to acquire livestock others use it to open their own small businesses. Additionally, the women are trained in entrepreneurial topics like bookkeeping, customer identification and revenue models. 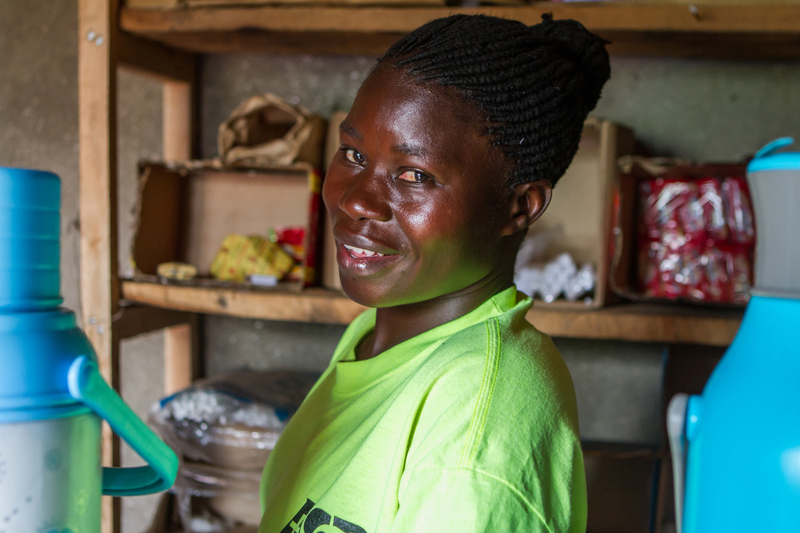 Albertine Nsangiaranabo is one of the participants of the programme and was able to fulfil her dream of opening her own small shop with her first loan. After successful repayment of the first loan, she was eligible to receive a second loan which she used to add a small café to her shop. To assure the repayment of the loan, the women form cooperatives in which they act as guarantors for each other. 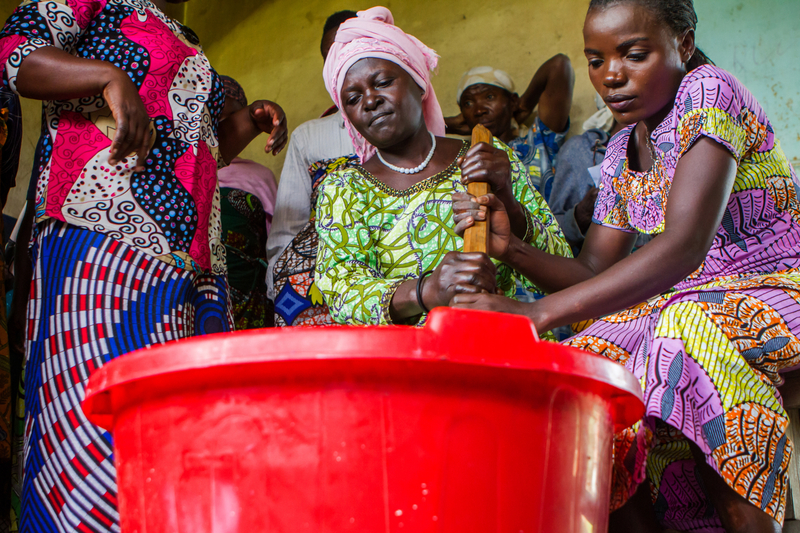 One of the cooperatives even developed a savings system to cover possible shortages when paying back the loan. Moreover, many cooperatives now use a certain percentage of the loan admitted and invest it in communal projects. The keep book on every credit given out. The documents only can be accessed if all three treasurers are present with their key. 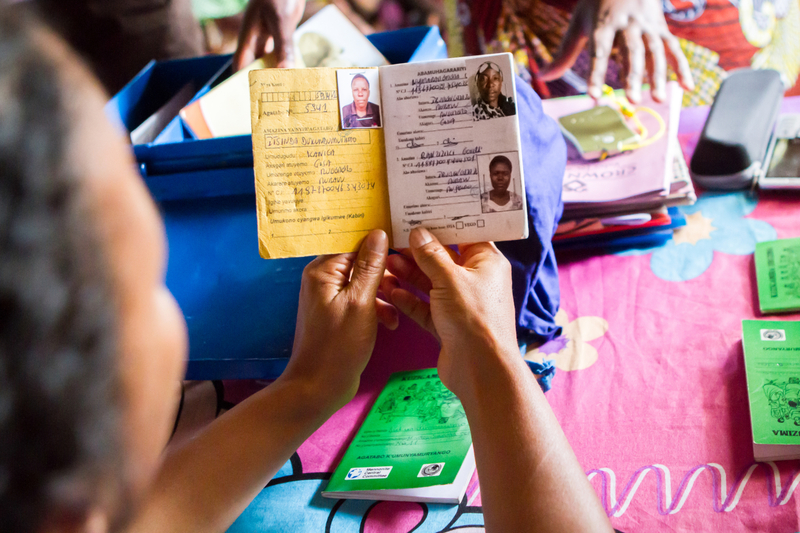 Until now, 60 women profited from the access to the microcredits by Rwanda Sustainable Families. With the support of the Lemonaid & ChariTea Foundation the fund is enlarged and each year another 70 women are given the opportunity to improve their living conditions. The Woman Loan Project strengthens the position of women in rural Rwanda as equal partners in their families and respective communities. Through the social and economic integration into the community, the women are able to open a new perspective to the community and their children and break the cycle of poverty.